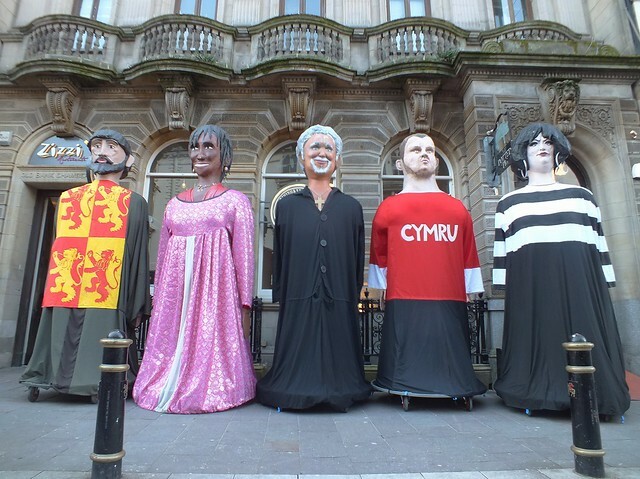 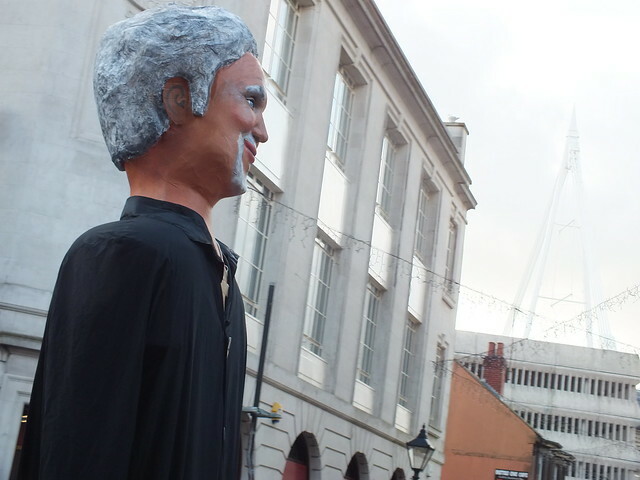 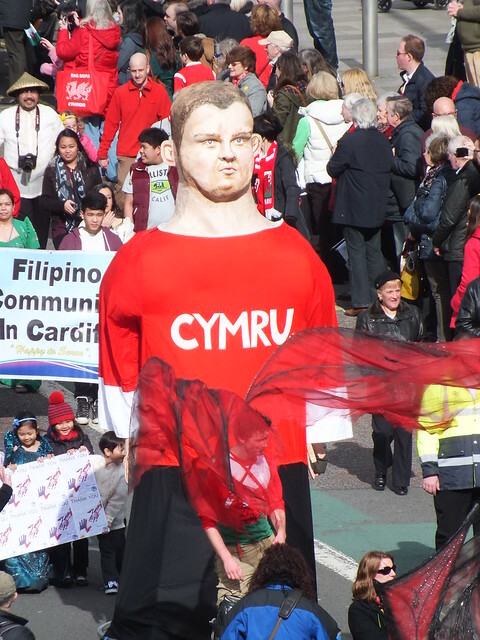 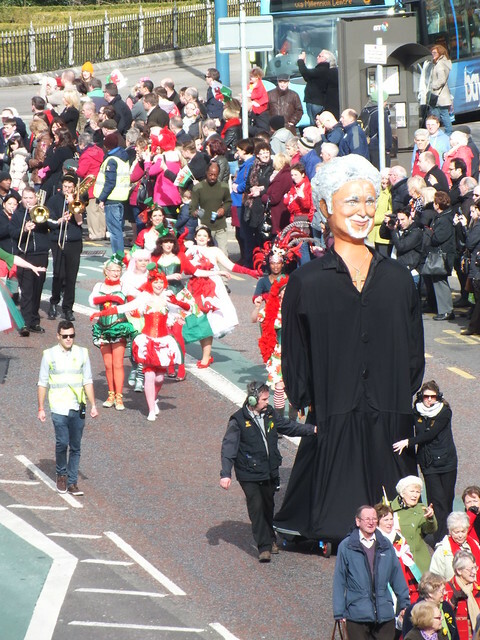 As Wales celebrated St David’s Day with daffodils, dragons, leeks and Welsh cakes – here in Cardiff they decided to celebrate by bringing out 5 large fibreglass models of some rather famous Welsh faces. 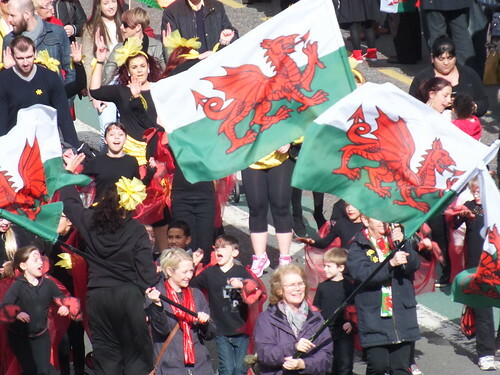 These models took part in the annual St David’s Day parade which was the highlight for the many thousands of people who lined the streets from Cardiff City Hall to Cardiff Castle. 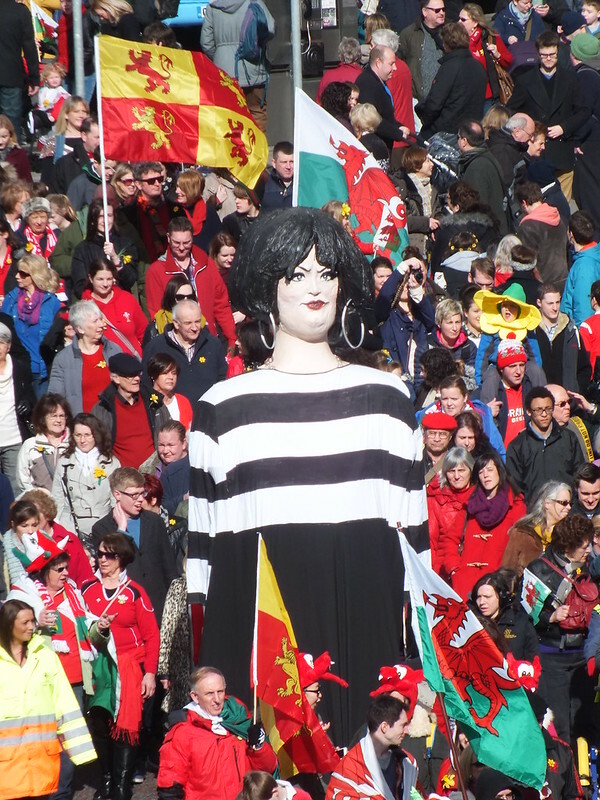 Most people could name the giant statues of Shirley Bassey, Tom Jones and Nessa from Gavin and Stacey – but the other two proved more tricky. 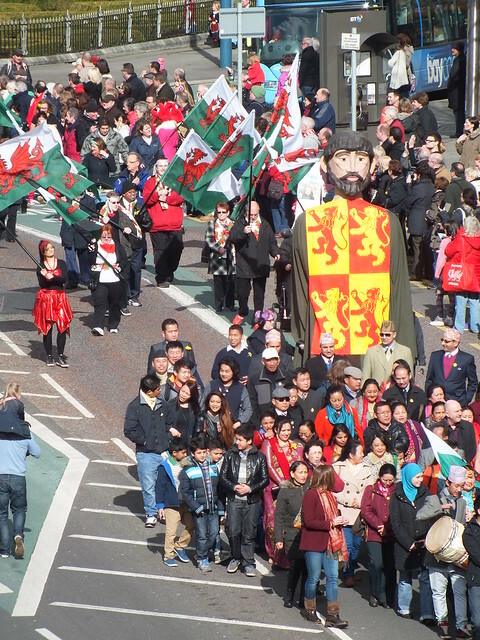 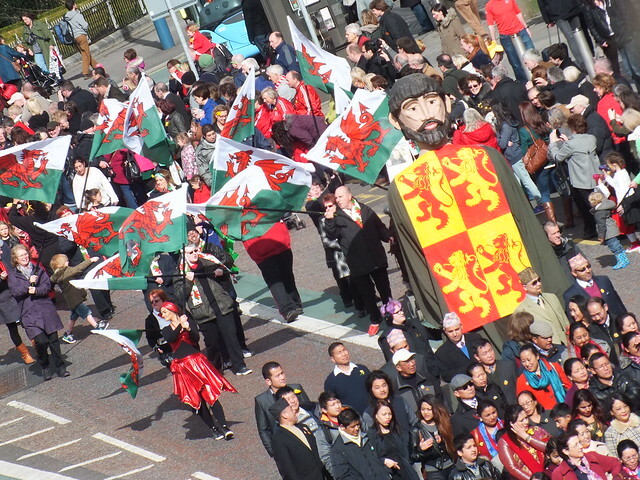 A lot of people incorrectly guessed the Owain Glyndwr model as St David – whereas the man sporting a red shirt with ‘Cymru’ emblazoned across it stumped people even more. 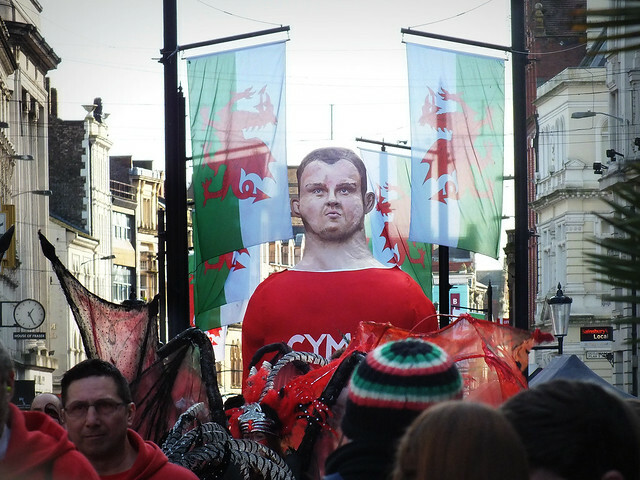 Most people thought it was a Welsh rugby player but there was shock when it was revealed as Gethin Jenkins! 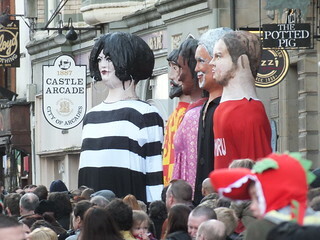 There is quite a resemblance once you know! 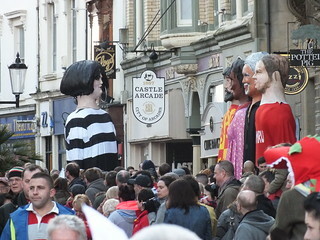 As the parade made it’s way ever closer to Cardiff Castle the huge models were retired outside The Potted Pig as they were too big to fit through the castle gates. 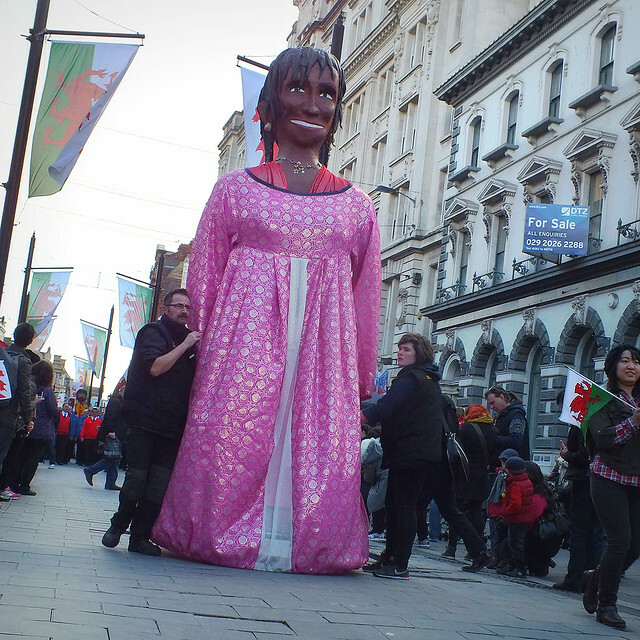 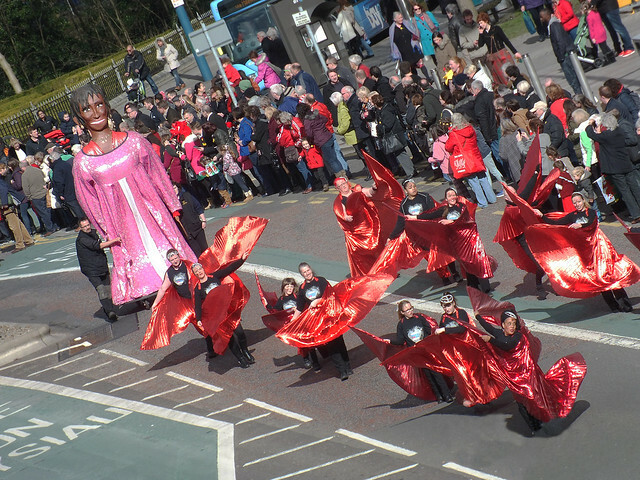 After Tom passed the Millennium Stadium and Shirley wafted past the Cardiff Market – Nessa then pulled up alongside the other models to end their procession – they have captured Nessa’s expression perfectly! 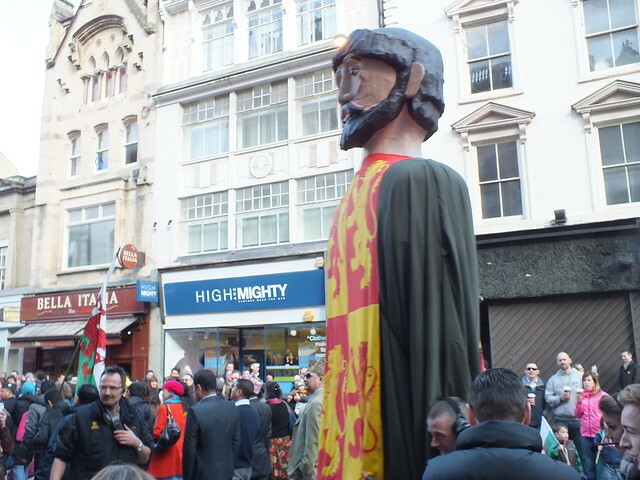 And Owain Glyndwr gets ever so close to the High and Mighty shop! 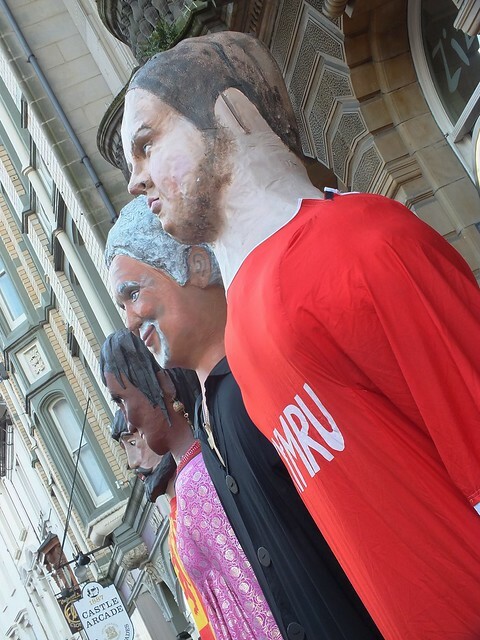 Designed between 2010 and 2011 by London based artists Sarah Mangan, Anna Ferrie and Sarah Pimenta the fivesome resided outside The Potted Pig restaurant – where they all stayed long enough for another great photo opportunity! 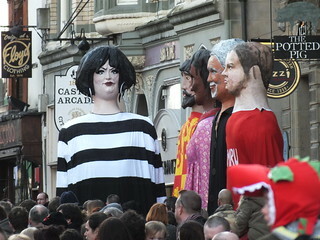 super photo of my sister! 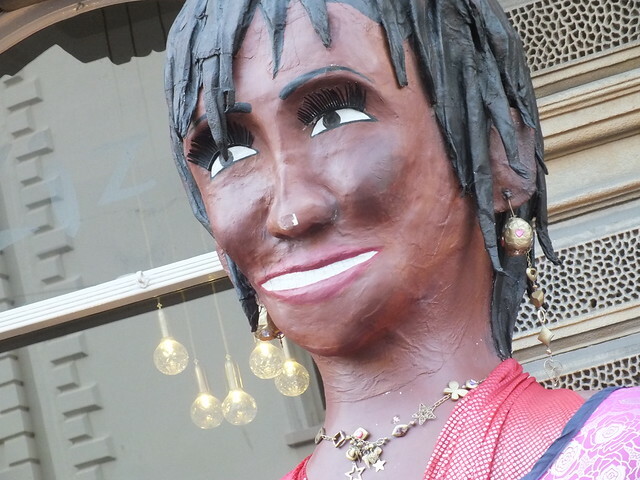 Thank you – from south Germany!! 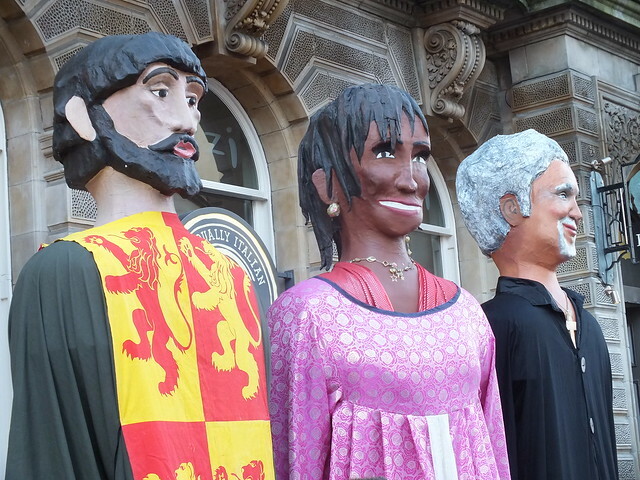 Hi Lis – Which one was your sister? I may have more on my hardrive that I havent uploaded yet! 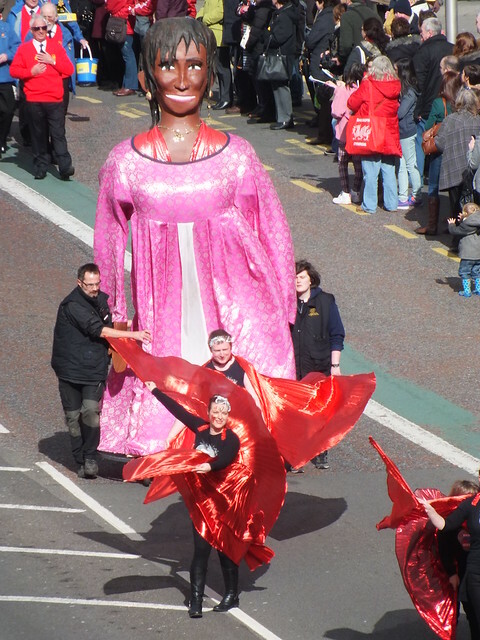 Yep she does feature on a few more – this one probably best!